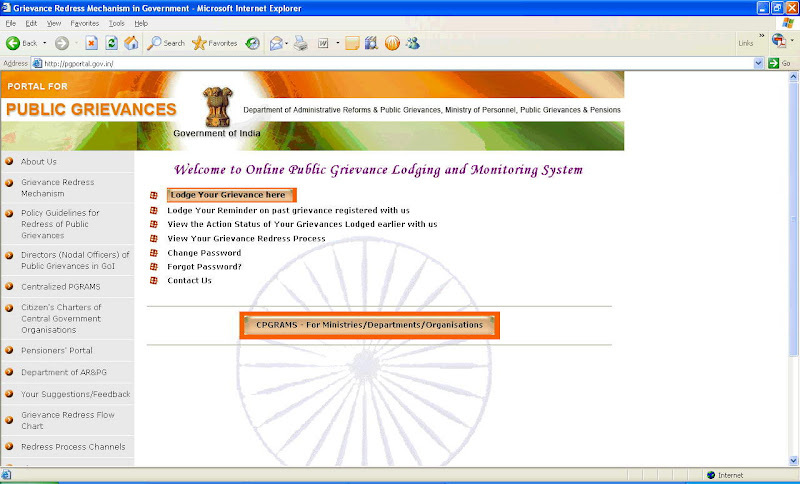 Government of India has an on-line Grievance forum at http://pgportal.gov.inCan you imagine this is happening in INDIA ? The govt. wants people to use this tool to highlight the problems they faced while dealing with Government officials or departments like Passport Office, Electricity board, BSNL/MTNL, Railways etc. I know many people will say that these things don't work in India , but this actually works as one of the employee in CSC found. The guy I'm talking about lives in Faridabad . Couple of months back, the Faridabad Municipal Corporation laid new roads in his area and the residents were very happy about it. But 2 weeks later, BSNL dug up the newly laid roads to install new cables which annoyed all the residents including this guy. But it was only this guy! Who used the above listed grievance forum to highlight his concern. And to his surprise, BSNL and Municipal Corporation of Faridabad were served a show cause notice and the guy received a copy of the notice in one week. Government has asked the MC and BSNL about the goof up as it's clear that both the government departments were not in sync at all.